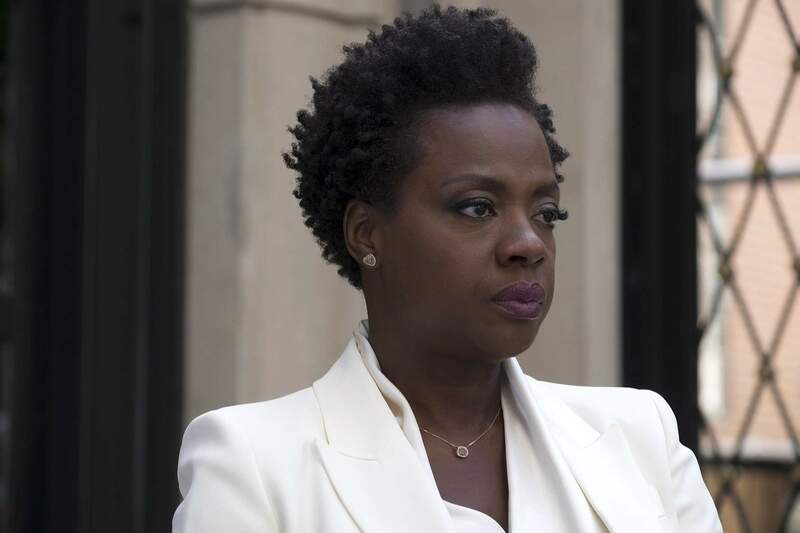 Viola Davis stars in “Widows,” now playing at the Gaslight in Durango. From its first moments, “Widows” signals that audiences aren’t in for just another heist movie. We commence with a tender, deeply sensuous moment between Veronica Rawlins (Viola Davis) and her husband, Harry (Liam Neeson), drawing viewers into their vicarious pleasure and obvious love for each other. A smash cut later, we’re in the middle of a chaotic crime scene, where a group of men in a van do desperate, bloody battle with the police who are chasing them, a confrontation that concludes with a shocking moment of explosive violence. Director Steve McQueen toggles with cool, muscular confidence between these two diametrically opposed scenarios, assuring spectators that they’re in exactly the right hands for the twisty, often graphically brutalizing journey to come. It turns out that Harry – a career criminal who lives in sleek splendor in a Mies van der Rohe building in Chicago – has been killed in that opening conflagration, which also vaporized the $5 million he and his accomplices stole. When Veronica – a union official – learns that Harry owed a portion of the loot to a local gangster-turned-politician, she flies into task-oriented action, recruiting the wives of Harry’s henchmen to make one last big score. Adapted by McQueen and novelist Gillian Flynn from a British television series, “Widows” faithfully obeys the most visceral beats of a classic caper flick, with none of the genre’s playfulness or light-footed deviltry. Davis’ Veronica is a somber, supremely focused manager who assembles a grimly efficient team of women who have been blindsided by the harsh truths their men left behind: Linda (Michelle Rodriguez) is on the verge of having her dress shop repossessed because of her late husband’s gambling debts; Alice (Elizabeth Debicki) has been counseled – by her own mother – to exploit her statuesque beauty by joining a website matching wealthy men to attractive gold diggers. It’s also a world of hairdressers, receptionists and other female spaces that might be invisible to male eyes, but house vast stores of subversive power. When Belle (Cynthia Erivo) joins Veronica’s no-nonsense sisterhood as a driver, she’s fitting it in with other gigs as a stylist and babysitter, leaving her own kids at home while she runs any hustle she can to get by. Every scene of “Widows” carries with it a sharp-eyed commentary on American life, from its cultural love of violence to its vastly unequal economic system, from its nominal embrace of pluralism to its Darwinian politics. The movie is punctuated by moments of pitiless, horrifying savagery and one genuinely breathtaking plot twist. But its most memorable quality is the clear-eyed, compassionate honesty with which it depicts the wearying workaday world of navigating structures and interpersonal dynamics inimical to one’s health, safety and very being. Working with his longtime cinematographer Sean Bobbitt, McQueen photographs “Widows” with handsome austerity, favoring clean, hard surfaces that literally and figuratively reflect the film’s brittle tone. And he has cast his movie brilliantly, most notably with Davis, Debicki, Rodriguez and Erivo, whose businesslike chemistry belies the sentimentalized brand of sisterhood that Hollywood likes to sell as feel-good feminism. In an equally outstanding supporting cast, Henry, Farrell and Duvall are joined by Lukas Haas, Jacki Weaver and Daniel Kaluuya in the most chilling turn of his career. When it comes to the climactic sequence, “Widows” succumbs to one or two lapses in logic; or maybe it moves so swiftly that viewers may not catch every nuance. Still, it proves how smarts and style can elevate even the pulpiest material into something shrewd, socially attuned and bracingly observant. Rarely has a movie been so illuminated by a single character simply breaking into a smile, and rarely has a smile been so unequivocally earned.